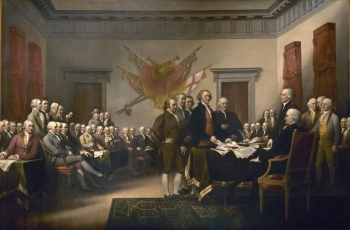 On July 4, 1776, the Declaration of Independence was approved by the Second Continental Congress in Philadelphia, Pennsylvania, setting the 13 colonies on the road to freedom as a sovereign nation. Written primarily by Thomas Jefferson, the Declaration is a formal explanation of why Congress had voted on July 2 to declare independence from Great Britain, more than a year after the outbreak of the American Revolutionary War. 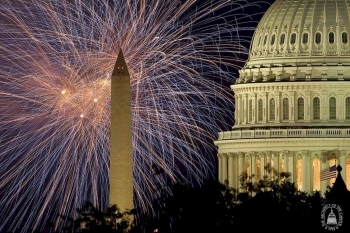 The birthday of the United States of America—Independence Day—is celebrated on July 4, the day the wording of the Declaration was approved by Congress. See an image of the Declaration of Independence from the National Archives. As always, this most American of holidays will be marked by parades, fireworks and backyard barbecues across the nation. In 1776, the estimated number of people living in the newly-independent nation was 2.5 million. This year, the Department of Commerce’s Census Bureau estimate is 316.2 million. The original Declaration of Independence on display at the National Archives reaches its 237th anniversary this year protected by Commerce's National Institute of Standards and Technology (NIST) science and engineering. Read more on protecting the historic document here. 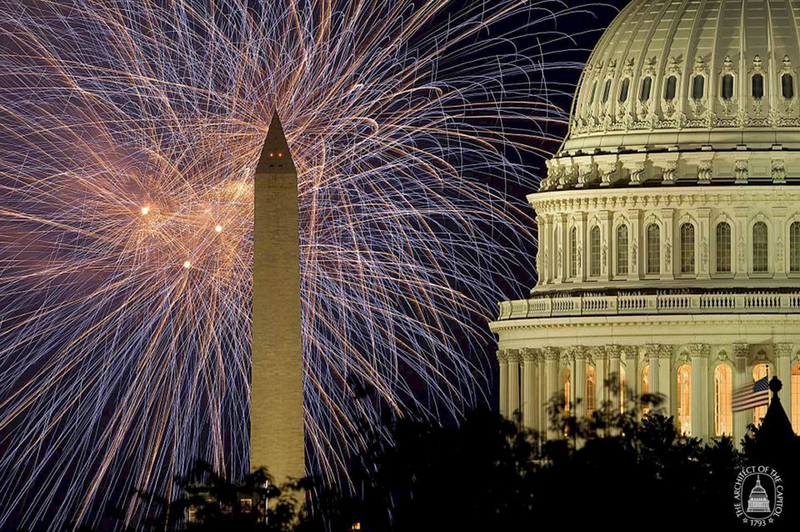 For fascinating figures on the Fourth’s fireworks, flags, fanfares, firings (grills) and more, see the Census Bureau’s Facts for Features. As always, this most American of holidays will be marked by parades, fireworks and backyard barbecues across the nation. In 1776, the estimated number of people living in the newly-independent nation was 2.5 million. This year, the Department of Commerce’s Census Bureau estimate is 313.9 million. As always, this most American of holidays will be marked by parades, fireworks and backyard barbecues across the nation. In 1776, the estimated number of people living in the newly-independent nation was 2.5 million. This year, the Department of Commerce’s Census Bureau estimate is 311.7 million. As always, this most American of holidays will be marked by parades, fireworks and backyard barbecues across the nation. 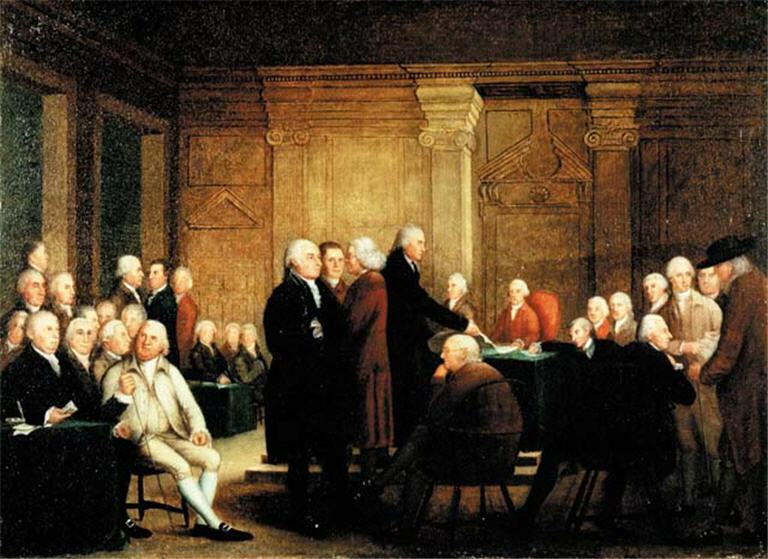 In 1776, the estimated number of people living in the newly-independent nation was 2.5 million. This year, the Department of Commerce’s Census Bureau estimate is 309.6 million.